Nashville District Energy System Can Benefit Your Next Project. 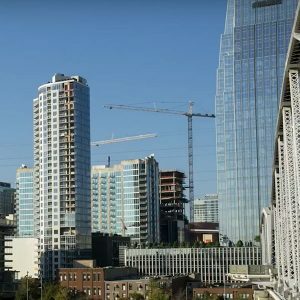 The award-winning Metro Nashville District Energy System provides efficient, economical, dependable and environmentally friendly heating and cooling services to downtown buildings, along with support services for project planning and ongoing customer needs. If you are the owner, manager or developer of a downtown building, consider becoming part of the Nashville District Energy System. Learn how. Nashville District Energy can lower upfront capital costs because the equipment and engineering services necessary to tie into the system costs less than stand-alone systems. Over the years, NDES can also result in lower overall building operating and maintenance costs. Nashville District Energy has delivered 99.99% System Reliability since 2006. Serving more than forty major customers with diverse needs and demands NDES provides professional system operation and maintenance and highly-rated customer support and service. Internal requirements of many Nashville District Energy customers make critical temperature and humidity controls essential to successful operations and the system delivers. 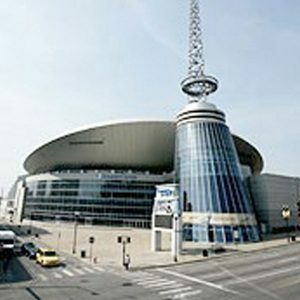 For customers like Bridgestone Arena home of the Nashville Predators, The Schermerhorn Symphony Center home of the Nashville Symphony, The Ryman Auditorium Mother Church of Country Music, and the Tennessee State Museum and Archives, the system meets and exceeds their requirements. 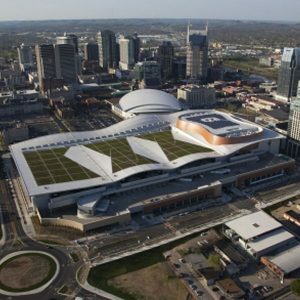 Nashville DES main heating and cooling Plant provided 333 million pounds of steam and 60 million ton hours of chilled water last year… to provide customers heating and cooling to their individual requirements. Plus, the system has ADDITIONAL CAPACITY and opportunities for system expansion in order to serve new customers that want to be part of NDES. CALCULATE YOUR DISTRICT ENERGY SAVINGS! By entering a few details you can see the potential savings that Nashville District Energy System can deliver for your next project. District Energy is a critical component of downtown infrastructure in many major metropolitan areas, including New York City, Washington, D.C., Phoenix, and Chicago. 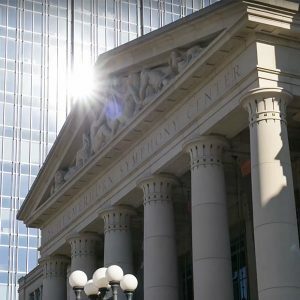 Nashville’s District Energy System was among the first in the nation when it began operation in 1974, and continues today with its modern centralized plant serving more than forty of Nashville’s newest and most prominent downtown facilities like the Music City Center. for engineering and construction capital outlays for on-site heating and cooling. for district energy, making more space, including valuable rooftops, available for other uses. through leveraged energy buying as a result of being part of a larger system. made possible by economies of scale of the overall system. than individual building systems because it produces lower green-house gas emissions compared to electric power for heating. to add new customers and expand the system as the right opportunities come along. The Nashville District Energy System team is available to work closely with you and members of your team to determine if district energy is a great fit for your next development. The NDES is part of Metropolitan Government of Nashville and Davidson County. The system is operated by Constellation New Energy (CNE) and the project administrator is Thermal Engineering Group, Inc.
To learn how Nashville District Energy can benefit your project, submit the inquiry form found here. Or call the project administrator at 615-264-2611.